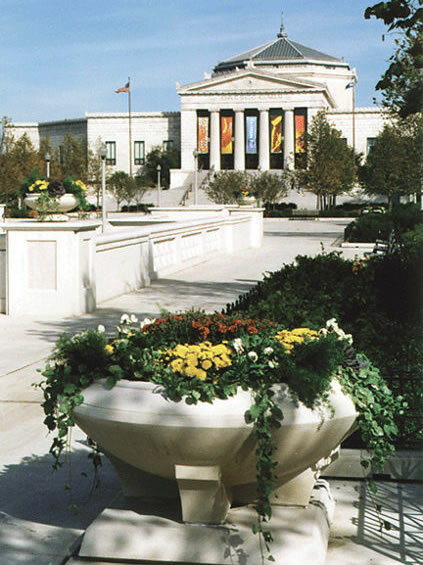 Lake Bluff 32 Planter, LS 9044, at The Museum Campus, overlooking Lake Michigan and the Chicago skyline. 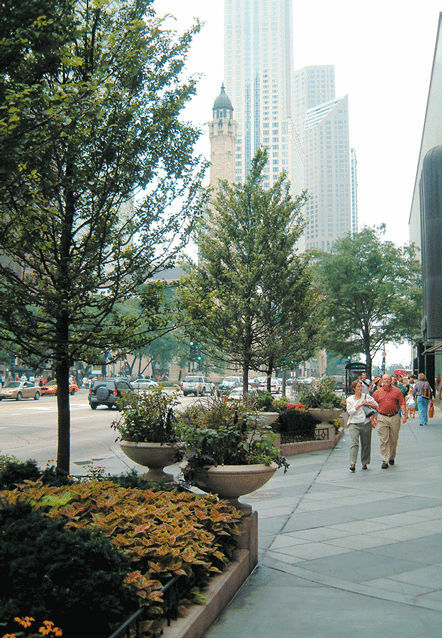 beautification and restoration of public spaces. 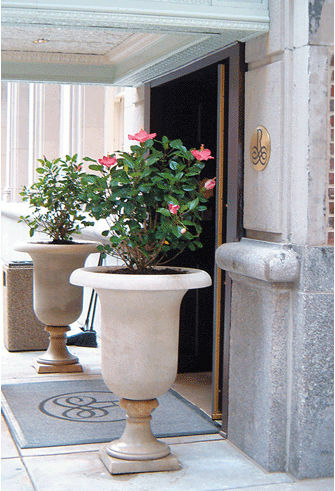 Lake Bluff 32 Planter, LS 9044. 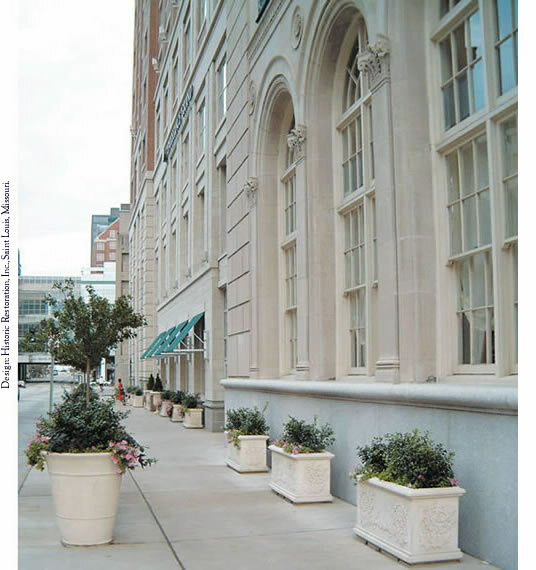 Jackson 40 Planter, LS 9138, at the Renaissance Hotel, Saint Louis, Missouri. LS 9082, at the Renaissance Hotel, Saint Louis, Missouri. 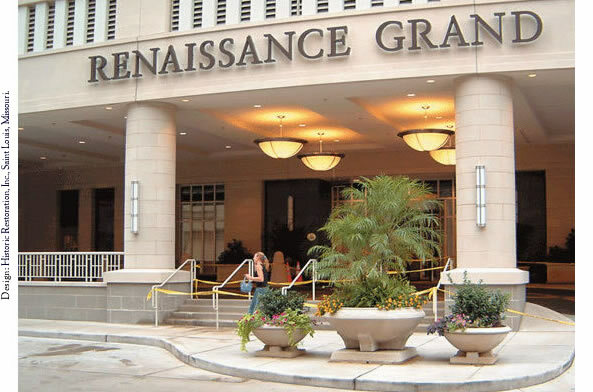 Renaissance Hotel, Saint Louis, Missouri. 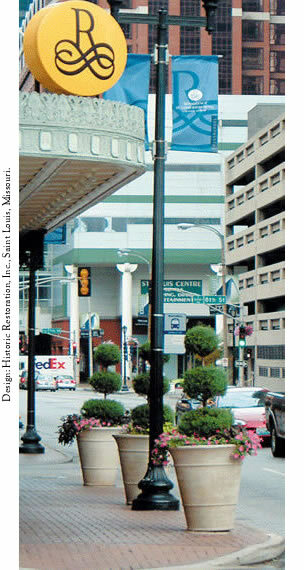 at the Renaissance Hotel, Saint Louis, Missouri. © Copyright 2010 Classic Garden Ornaments, Ltd.